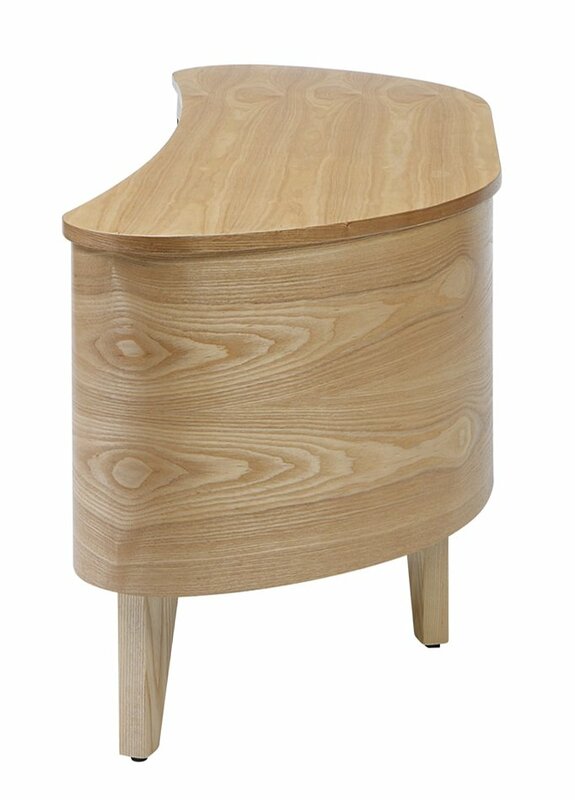 The JF709 Curve Stand is a beautiful addition to the Florence Collection. 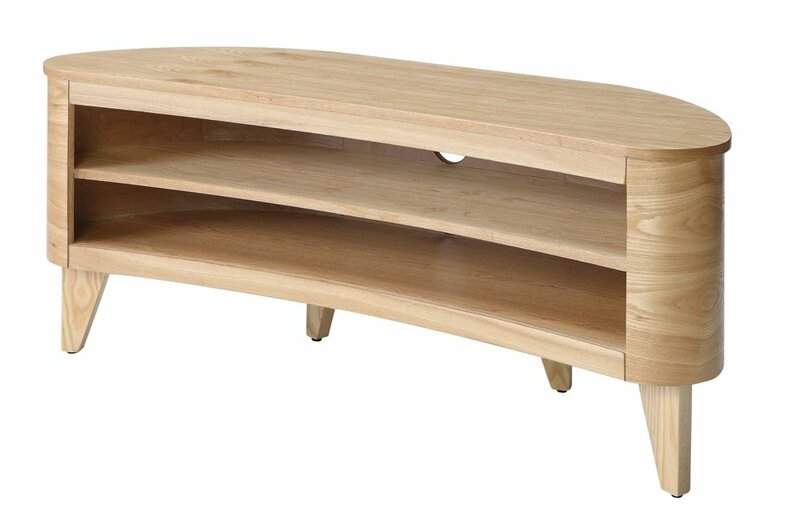 With a sweeping curve design tis elegant piece of furniture will look stunning in any room in the house. The shape of this stand makes it ideal for use in corners and it has ample room on the two shelves for all your AV equipment. 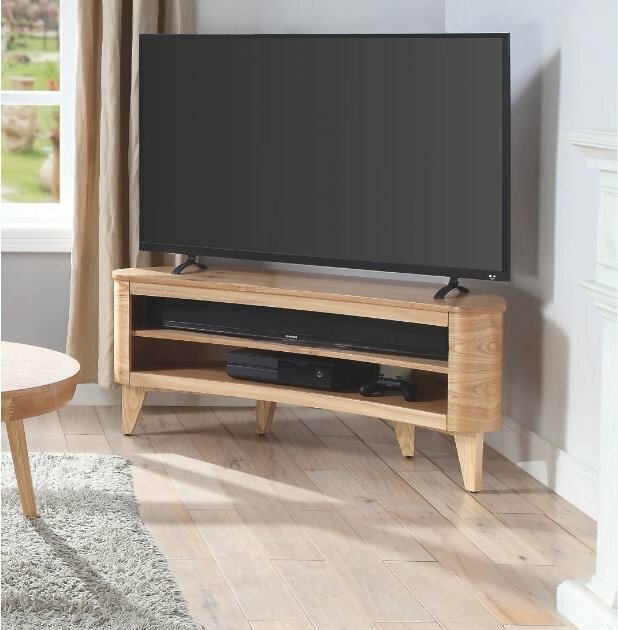 The fully enclosed back ensures a neat and tidy appearance and features cable management on both levels. 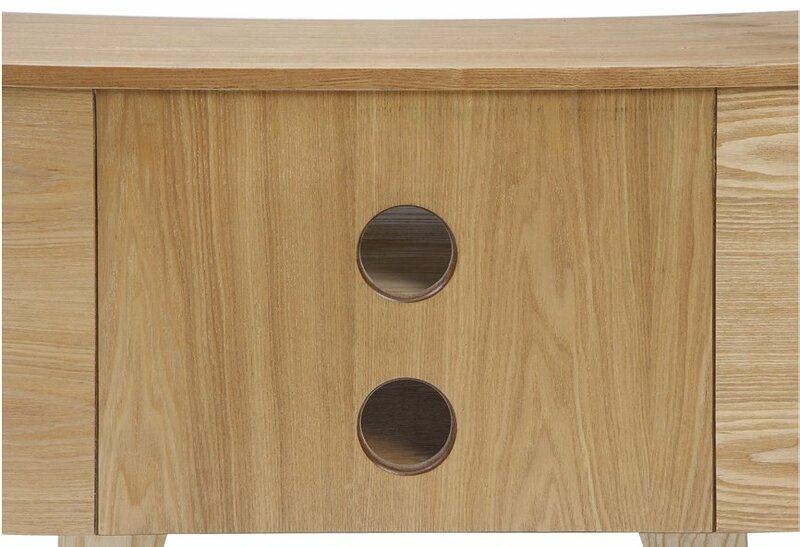 The contrasting black legs have height adjustable feet to compensate for any uneven floors. Suitable for TVs up to 60"